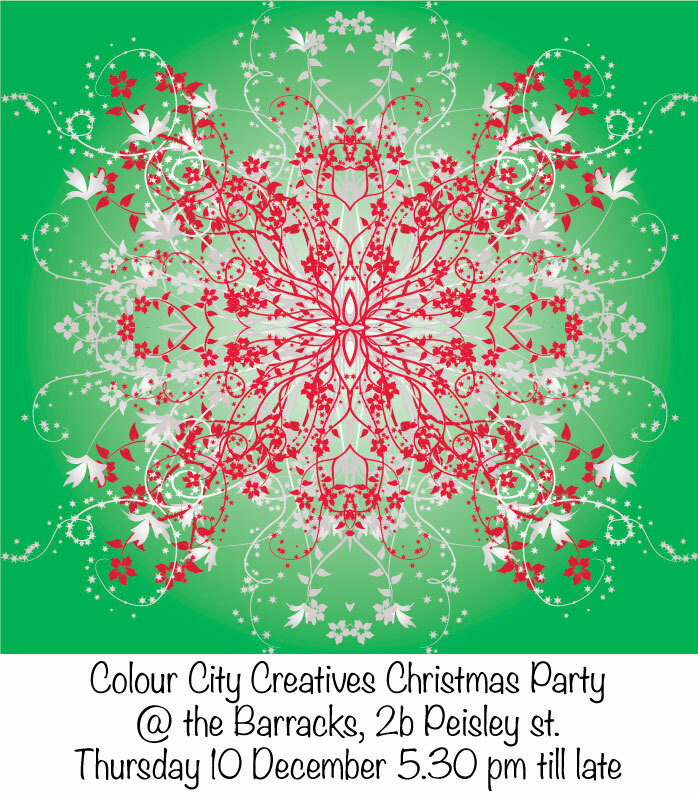 But I do have to post a reminder about our Christmas party to which ALL are welcome, you, your family, your friends! It's tomorrow! Our second session of experimenting with the hectograph print technique or monoprinting, same really. Judy Kich, Ikuko Fujisawa and moi gathered our equipment and imaginations and did some printing at the Barracks on yesterday. It's creative, loosening, exciting, fun and produces some fantabulous textures in most unexpected ways. Plus as a bonus it's quick, so in our 3 to 4 hours we end up with 6 to a dozen prints from which other art can spring. You get so focused and precise with technique and creativity that spontaneity becomes a bit elusive as the years go by. So Tuesdays are our go off the tangent, have fun with art, experiment and interact days. Inspired by Fayah and Audrey who have a paint together day, Judy and Jola have put away part of their Tuesdy to explore art together. As Judy has a small printing press the first explore was lino blocks and her printing press. It's been a while since either one has cut a lino block but cut they did and had so much fun totally forgot to document in the fun of ink, paper, brayers, felt and the right pressure and wonderful results! Yay! We used printing ink but Judy also suggested embossing and WOW am I blown away and excited, sooooo beautiful! 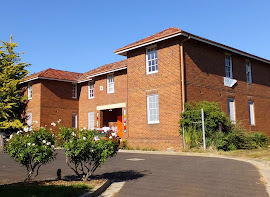 The days have been busy at the Barracks as many of the region's artists filed in with their new works for the next big show for Orange Wine Festival! So here's just a taster to tempt you to come and join us, peep into the studios and be amazed at just what talent regional Australia has! You might even find that piece to brighten up your abode and bring some "Colour in your Life!" Don't fear rejection, The Museum of Modern Art sent this letter to Andy Warhol in 1956 when he offered them one of his drawings. 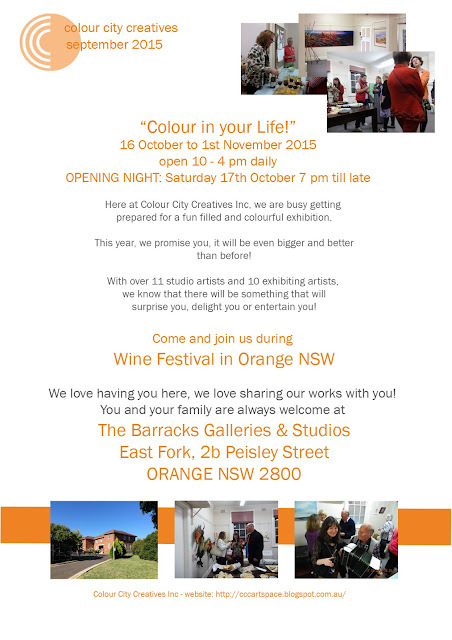 We are really busy getting the artwork together for another exciting and colour filled exhibition at the Barracks Galleries & Studios in Orange for Wine Festival! The artworks that are coming in from our artists are very impressive and we expect another packed out space for you to peruse and enjoy. It may be that there is something of colour that will fit into your life! Our opening is to be held on the Saturday night from 7.00 pm onwards and you are welcome to attend. Entrance is free to all and we have wine and nibbles available on the night! We look forward to meeting you and sharing our passion about art and sculpture with you all. See you at the Orange Wine Festival during October! Once again, some of our more adventurous artists have returned from their desert wanderings - tired, inspired, amazed and yearning to get out their brushes and paint that colour filled place. 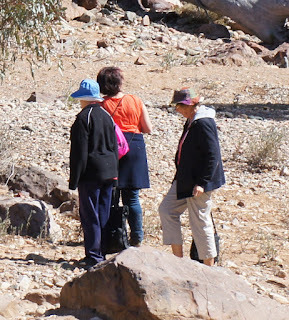 It was to Arkaroola and the Wilderness Sanctuary that our intrepid travellers made their way in a Piper Navaho, winging just above the clouds, suspended in space, but it was a bumpy ride and Joy got very very air sick. This is a new experience and not one she wants to repeat! Arkaroola lies out in the desert country of South Australia and boasts some of the most desolate but beautiful country that Australia has to offer. CCC members, Bev Duncan, Susie Hillenbrand, Cherelynne Carden and David Quinlan were joined by two new artists from the Central Coast, Marion Mikkelson and Lyn Olesen. Under the guidance of Joy Engelman, they were driven across hills and valleys of wonderful scenery that filled their souls with delight! We all look forward to seeing what these artists bring back and this time is no exception. Some of the works will be on display for Wine Festival at the Barracks Galleries and Studios so come along and join us.